Mirik: The Binay Tamang camp of the Gorkha Janmukti Mocha on Tuesday stressed on the need for development in the hills and appealed to the Trinamul Congress to "keep aside" politics and join hands in the process. "We might have a difference of political opinion. But together, we can work for the development of Mirik and other parts of the hills. Being Gorkha chhoras (sons of Gorkhas), we will always demand Gorkhaland," said Tamang loyalist Anit Thapa, with L.B. Rai, the chairman of the Trinamul-led Mirik municipality, by his side. 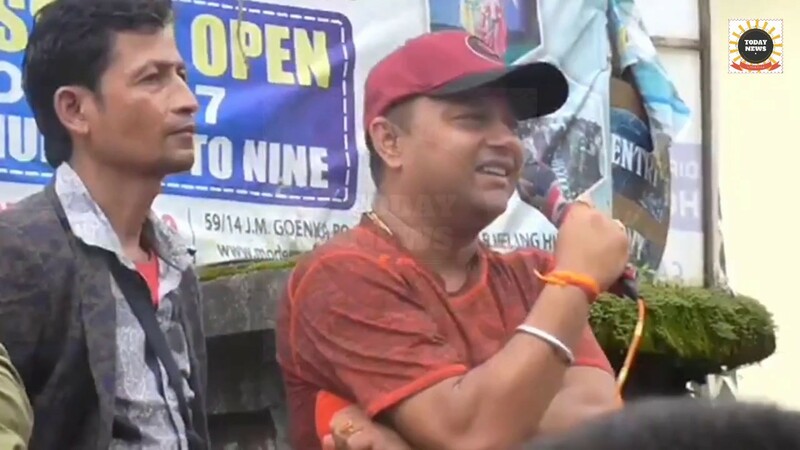 Political observers said Thapa's remarks were significant, all the more because they were made in Mirik, one of the few places in the hills where Trinamul has made inroads. The Bengal government has recently named Thapa and Tamang as members of the board of administrators to run the GTA. On Tuesday, Thapa visited an under-construction office of the GTA in Mirik and said development had suffered in the hills in the past three decades. "No development was carried out in the hills during the 21 years of the GNLF regime. In the past 10 years, too, when our party emerged as the most prominent political force in the hills, not much work was done. It is high time that we focus on development and at the same time organise a movement for statehood. But this has to be done in a systematic and non-violent manner," Thapa said. Trinamul civic chief Rai responded to Thapa's appeal. "We will surely work with the GTA in a concerted manner for Mirik's development." The Morcha leader's remarks, observers said, brought a fresh respite for Trinamul, which has been lying low in the hills since June, when the statehood agitation began. But for the BJP, the appeal could adversely affect its relation with ally Morcha, the observers said. Darjeeling police have recovered 102 pieces of gelatine sticks from an area considered a Morcha stronghold. Akhilesh Chaturvedi, the Darjeeling SP, said: "We had inputs that gelatine sticks had been hidden at Vah-Tukvar tea garden. We found 102 pieces of them, weighing approximately 40kg." The Binay Tamang camp of the Gorkha Janmukti Mocha on Tuesday stressed on the need for development in the hills and appealed to the Trinamul Congress to "keep aside" politics and join hands in the process.